How much is John McCrea Worth? John McCrea net worth: John McCrea is an American singer and musician who has a net worth of $3 million. John McCrea was born in June 1964. 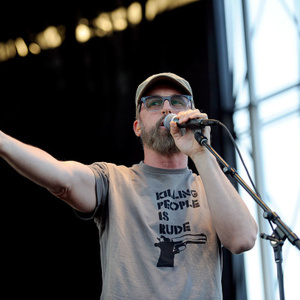 He is best known for being the front man and a founding member of the band Cake. He is also the primary lyricist and plays rhythm guitar, vibraslap, and piano as well as drum programming and mixing work. The band formed in 1991 and released their debut studio album Motorcade of Generosity in 1994. They released the album Fashion Nugget in 1996 which reached #36 on the Billboard 200 chart and 39 in Australia. Cake released the album Prolonging the Magic in 1998 and their album Comfort Eagle was released in 2001 and reached #7 in Canada and #13 on the Billboard 200 chart. They released the album Pressure Chief in 2004 and their album Showroom of Compassion was released in 2011 and reached #1 on the Billboard 200 chart. Their popular singles include the songs "The Distance" and "Never There".